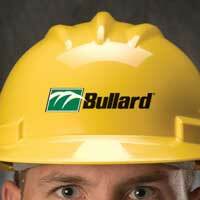 Bullard offers a variety of online products and services, including information about Bullard's products and other information that we believe will be of interest to our customers, and links to other sites of interest, on the terms set forth in these Terms of Service. 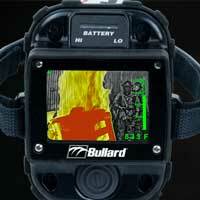 By using the website at www.bullard.com (the "Site") in any way, you are agreeing to comply with these terms. We may update and alter these terms at any time without notice. Unless we expressly state otherwise, these terms incorporate and supersede any other terms associated with the files available on the domain www.bullard.com and all of its sub-domains, as well as affiliated domains and sub-domains operated by Bullard. Except as allowed by applicable law notwithstanding contrary license terms, you may not modify, adapt, disassemble, reverse engineer, decompile, or otherwise alter or attempt to discover the source code of the software associated with the Site. Bullard may revoke any or all of the rights granted by these Terms at any time. The Site contains links to other World Wide Web sites or resources. Bullard does so as a service to its customers, because the linked sites contain or have contained information that may be of interest to users of the Site. Bullard does not control the linked sites and resources, does not endorse them, and is not responsible for their availability, content, or delivery of services, or for any products or services that may be advertised or offered on any such sites. Bullard in no way warrants the accuracy of any content available at any linked site. The Site information could contain technical inaccuracies or typographical errors, and information will be changed, updated and deleted without notice. BULLARD MAKES NO REPRESENTATIONS AS TO THE ACCURACY, QUALITY, TIMELINESS, AVAILABILITY, OR COMPLETENESS OF THE INFORMATION, SOFTWARE, PRODUCTS, OR OTHER MATERIALS AVAILABLE THROUGH THE SITE, AND YOU SHOULD NOT RELY UPON THEM. BULLARD MAKES THE SITE AVAILABLE ON AN "AS IS, AS AVAILABLE" BASIS, AND DOES NOT WARRANT THAT AVAILABILITY OF THE SITE WILL BE UNINTERRUPTED. BULLARD EXPRESSLY DISCLAIMS ALL WARRANTIES, INCLUDING WARRANTIES OF MERCHANTABILITY, FITNESS FOR A PARTICULAR PURPOSE, OR NON-INFRINGEMENT. NO WARRANTY NOT SET FORTH IN THIS AGREEMENT WILL BE VALID. YOU USE IT AT YOUR OWN RISK. IN NO EVENT WILL BULLARD OR ITS EMPLOYEES, AGENTS, OFFICERS, OR DISTRIBUTORS BE LIABLE TO YOU FOR ANY CONSEQUENTIAL, INCIDENTAL, SPECIAL, OR EXEMPLARY DAMAGES, INCLUDING, BUT NOT LIMITED TO, ANY LOST REVENUE, PROFITS, OR SAVINGS, LOST OR DAMAGED DATA, OR OTHER COMMERCIAL OR ECONOMIC LOSS, WHETHER BASED IN CONTRACT, TORT, OR OTHERWISE, ARISING FROM YOUR USE OF OR INABILITY TO USE THE SITE, EVEN IF BULLARD'S REPRESENTATIVE HAS BEEN ADVISED OF THE POSSIBILITY OF SUCH DAMAGES, OR FOR ANY CLAIM BY ANY THIRD PARTY. IF ANY OF THE ABOVE PROVISIONS ARE VOID UNDER GOVERNING LAW, OUR LIABILITY SHALL BE LIMITED TO THE MAXIMUM EXTENT PERMITTED BY LAW. The Site is copyright 1998 - 2016, E.D. Bullard Co. The Site, and all intellectual property rights in the content on the Site, along with its design, structure, and compilation (sometimes known as "look and feel"), are the property of Bullard. The Site contains various trademarks and service marks owned by Bullard. Any use of the Site contrary to the restrictions set forth in these Terms constitutes an infringement of Bullard’s copyright and other applicable rights in the Site and a breach of this agreement. Use of the Site and its contents grants you no intellectual property rights in the Site or any related trademarks, service marks, software, or content. ***Use, duplication, or disclosure by the United States Government is subject to the restrictions set forth in DFARS 252.227-7013(c)(1)(ii) and FAR 52.227-19 and any other successor regulations that may be applicable. This agreement shall be governed by the law of the State of Delaware applicable to agreements made and to be performed entirely within Delaware. You agree to submit to the personal and exclusive jurisdiction of the state and federal courts located in Delaware for any claim or dispute with Bullard or any of its subsidiaries, affiliates, officers, agents, or employees relating to the Site. If any part of these Terms is found invalid, void, or otherwise unenforceable, the invalid, void, or unenforceable provision will be deemed superseded by a valid, enforceable provision that matches the intent of the original provision as nearly as possible, and the remainder of the agreement shall remain valid and enforceable according to its terms. This is the entire agreement between you and Bullard relating to the Site. This Agreement may only be modified in writing signed by an authorized Bullard representative. Any failure of Bullard to enforce any right under this Agreement will not waive that right. You must file any claim or suit related to the Site within one year after it arises. The section titles in this Agreement are for convenience only and have no substantive effect.